Breakfast Club IS ONSITE daily see Breakfast Club for more information. 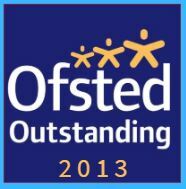 OFSTED HAS RATED WANSTEAD SITE AS OUTSTANDING! Children are collected and walked the short distance to our offsite afterschool club. Children have an opportunity to socialise with a wide range of children from a variety of schools enabling them to build new friends. This club offers a full range of activities including craft, sports, football club for all ages, cooking club, sailing club for 8 yrs plus only and forest school. we will deliver and collect to the onsite Karate and gymnastics clubs also . shift work and one off adhoc (one off) bookings available need to be registered .